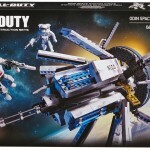 Please note- NO RETURNS If sealed box is opened, due to being a Collectable. 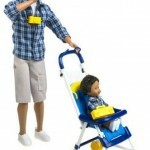 ​Explore careers in childcare with Barbie babysitter doll, a baby doll and a nursery play set. Aspiring babysitters can play out all kinds of stories with a highchair, changing table and crib, plus, an adorable baby doll who is ready to be fed, changed and rocked to sleep. 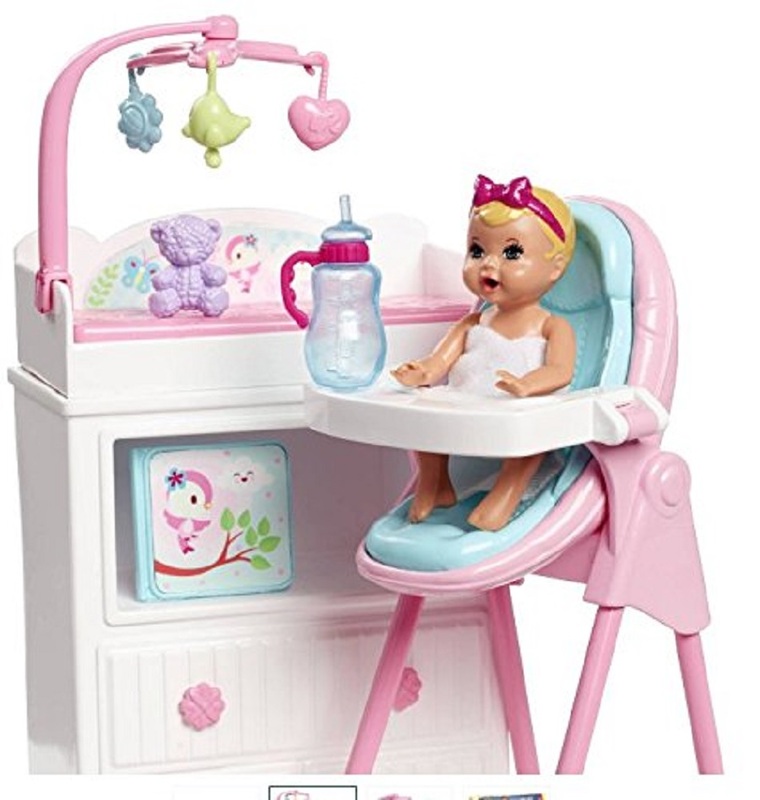 Place the baby doll into her high chair at feeding time. 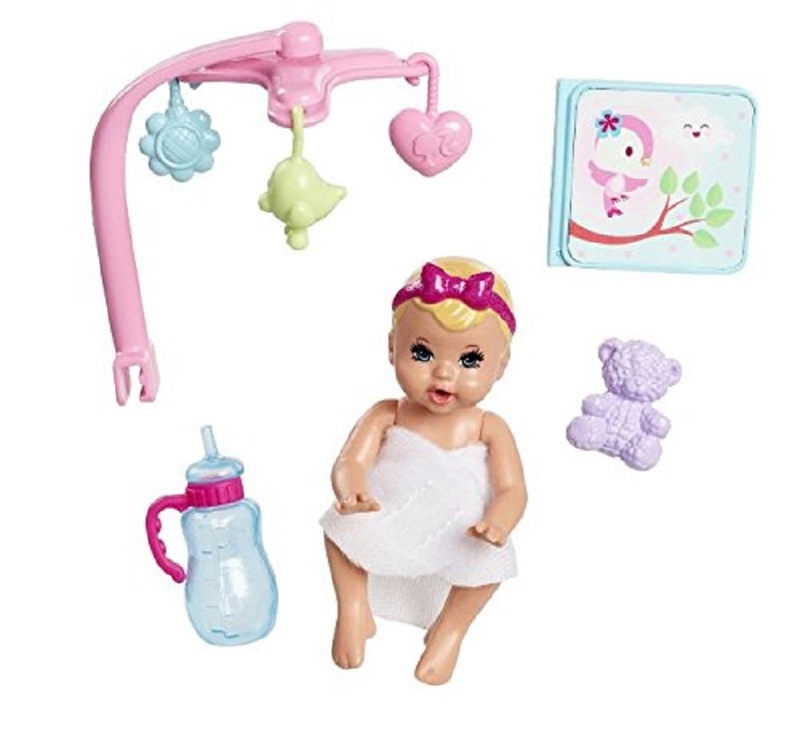 A spoon fits in Barbie doll’s hand, and when the baby doll drinks real water with the bottle, her diaper will wet indicating it’s time for a change. 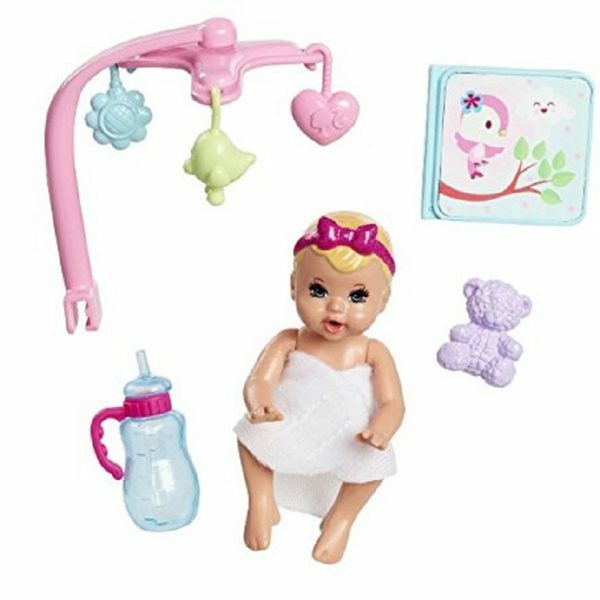 Barbie doll can clean the baby doll up at the changing table with its spinning mobile and then place baby in her crib to rock her to sleep. 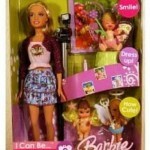 Barbie babysitter doll is dressed for the job in a floral print dress and pink shoes. The baby is so cute with a pink bow in her hair. And the furniture and accessories have signature style, with pretty colours and decorative touches. Young babysitters will love caring for this baby and inspiring their imaginations and dreams because with Barbie, you can be anything. 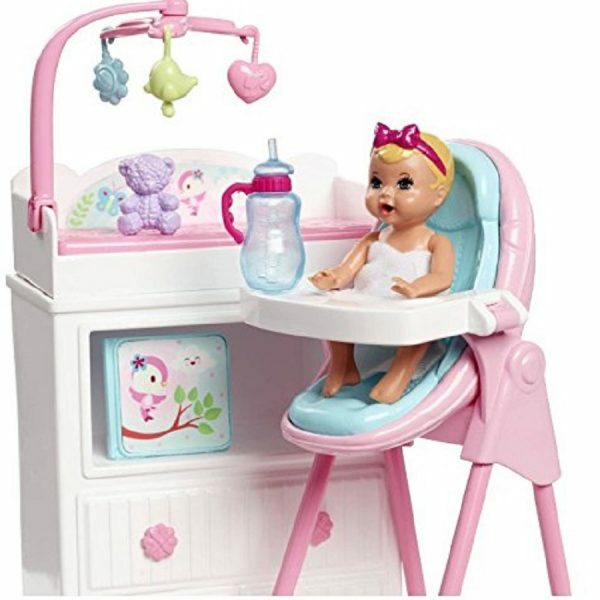 Includes one Barbie doll, baby doll with diaper, highchair, rocking crib, changing table with spinning mobile and themed accessories, like a spoon, bottle and toy bear. Doll cannot stand alone. Colours and decorations may vary.